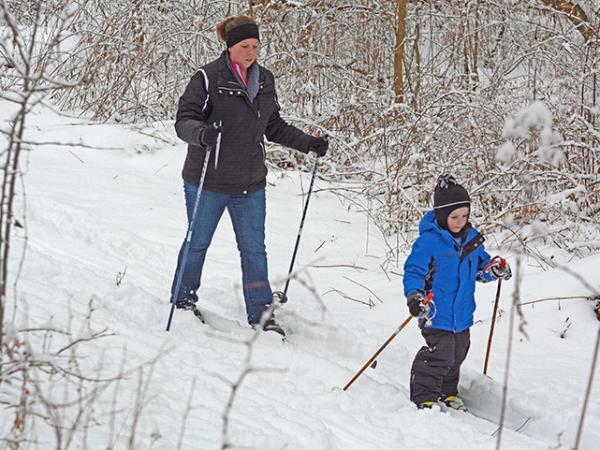 Two local county parks and four state parks are within driving distance – under 60 minutes – and all provide cross-country skiing trails. 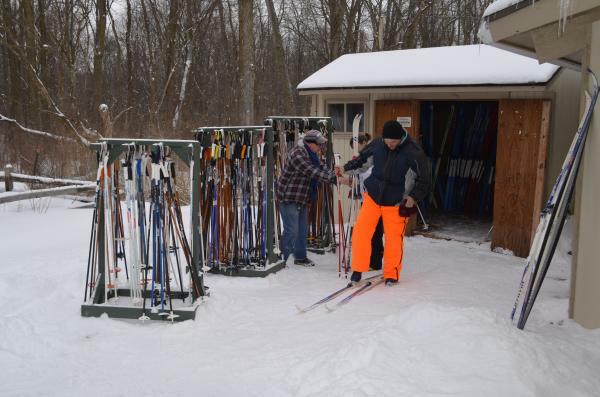 For equipment or supplies, check out the Ski Pole shop, 6410 W. Jefferson Boulevard, or call them at 260-436-7154. A 605-acre park located in southwest Allen County with 270 acres dedicated as a state nature preserve, this is a beautiful and serene spot to cross-country ski. The park boasts seven miles of marked trails throughout the preserve and over six miles are available for cross-country skiing (as long as there is four or more inches of snow on the ground). Equipment rental: Available on a limited basis. When the rental equipment is not available, skiers can still ski, but must bring their own equipment. This 250-acre park near Leo-Cedarville contains the 120-acre Meno-aki State Nature Preserve and offers cross-country skiers the beauty and tranquility of the preserve and Cedar Creek, a state-designated scenic river. Equipment rental: A limited number of ski equipment is available for rental at a small additional cost. The entrance to the southern portion of the park is off Union Chapel Road near its intersection with Leo Road (SR 1). The northern portion of the park can be accessed off Hursh Road between Puff and Halter Roads. Dates: November-second Saturday in March: 9 a.m. to 6 p.m.; second Saturday in March to Memorial Day: 9 a.m. to 7 p.m.
Daily ski conditions can be found at http://allencountyparks.org/, click the “About” button on the Home page. A stoplight system will alert skiers to the conditions: Green: It’s a go! Come out and ski and equipment rental is available; Red: Conditions are not favorable for skiing; Yellow: Equipment is not available for rent, but skiers can bring their own equipment and ski at their own risk. Rental prices: $6 per hour for adults and $5 per hour for children 12 and under. The parks do not take debit or credit cards, only cash or checks. Limited sizes are available, especially at Metea County Park. Hours: Both parks stop renting at 4 p.m. so that all skiers are accounted for before dark and the park closes. 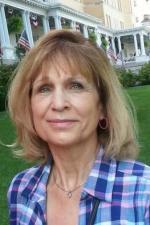 Hours: Change seasonally; for current hours, call the park office at 260-636-2654. Located on 2,718 acres in Noble County, 19 miles northwest of Fort Wayne, with nine connecting lakes, with 10 miles of forested trails, this park offers cross-country skiers a paradise of scenic trails, lakes, and wildlife. Take I-69 to U.S. 33 to S.R. 9 – about 40 minutes. Hours: Labor Day to Memorial Day: Monday-Friday, 1-5 p.m.; Saturday, Sunday, some holidays, 10 a.m. to 5 p.m.
Equipment rental: Weekends at the Civilian Conservation Corps shelter for $8 hour, adults and $5 hour, 15 and younger. The park has three cross-country skiing trails, totaling 7 miles. Winter Hours: Nov. 1 through March 31: 11 a.m. to 4 p.m., Wednesday through Sunday, closed Tuesday. With nine trails ranging from 0.4 to 40 miles in length, it offers several levels of experience for cross-country skiers.